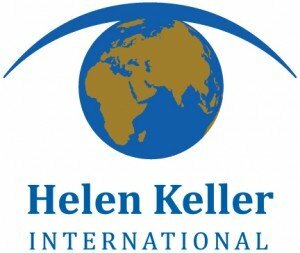 Helen Keller International (HKI) works to prevent blindness and reduce malnutrition around the world. Founded in 1915, their mission is to save the sight and lives of the most vulnerable and disadvantaged. HKI combats the causes and consequences of blindness and malnutrition by establishing programs based on evidence and research in vision, health and nutrition. The organization is known for sustainability, reliability, efficiency, and the highest level of technical expertise in preventing blindness and reducing malnutrition. HKI is headquartered in New York City, and has programs in 21 countries in Africa and Asia as well as in the United States. HKI is an active partner in the effort to eliminate blinding trachoma by the year 2020. Currently, HKI operates programs in Mali, Niger, Tanzania, Cameroon, Burkina Faso and Nepal with funding from a variety of sources, including the Conrad N. Hilton Foundation (CNHF), the United States Agency for International Development (USAID) through RTI International and through FHI, the Bill & Melinda Gates Foundation and Bouamatou Foundation through the International Trachoma Initiative (ITI), the European Union and SIMAVI. HKI implements all four components of the WHO-endorsed SAFE strategy (Surgery,Antibiotics, Face Washing, Environmental Change) to fight trachoma.